The Aventura Arts & Cultural Center, which opened in 2010, is an elegant, high-tech, 330 seat facility, whose mission is: To enhance the quality of life for Aventura by providing a variety of performing arts and relevant cultural programming for audiences of all ages. Set amidst a spectacular waterfront setting in the heart of the Aventura, Florida the Cultural Center is easily accessible from both Miami and Ft. Lauderdale. 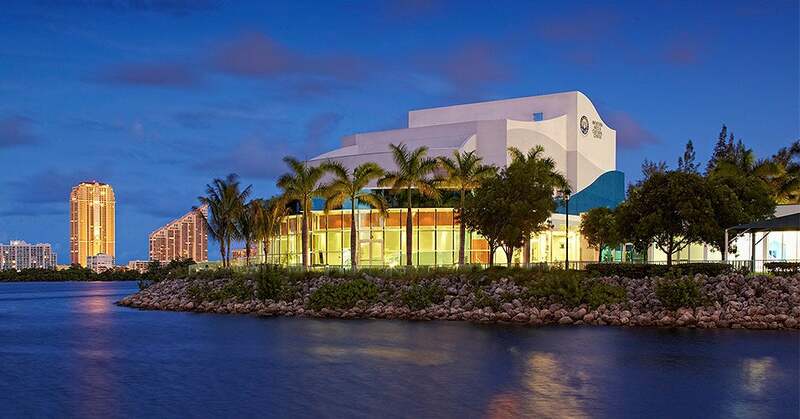 The Aventura Arts & Cultural Center is managed by the Broward Center for the Performing Arts (PACA), and continues to bring an extraordinary new world of cultural opportunities to one of the most desirable and vibrant destinations, Aventura – The City of Excellence.